The Practice is registered with the Care Quality Commission and has been granted an Unqualified Registration which means that the Commission has no concerns about the way we practice. We have two fully equipped surgeries with disabled access. Sixpenny Handley is the administrative centre for the practice and the Practice Manager, Ms Maxine Jenkins, is based there. Both surgery buildings are very limited for space. Recently we enlarged the Sixpenny Handley Site giving an extra consulting room and more space. We try to provide a comprehensive service in both sites, but with the limitations we have this is not always possible. During the week there is usually a doctor on duty every day in both surgeries. We try to offer an appointment at one or other of the surgeries on the day if it is necessary. The surgeries are only six miles apart so if there are no appointments in the surgery of your choice, we hope it is not too much to ask you to come to the other surgery. The main dispensary is in Sixpenny Handley where we keep a comprehensive range of medicines. A limited stock of medicines is kept at the Broad Chalke Surgery. If we don’t have what you need in Broad Chalke it is often in stock at the dispensary in Sixpenny Handley. Usually it will be available for quick collection and this is generally easier than travelling to a chemist in one of the surrounding towns. 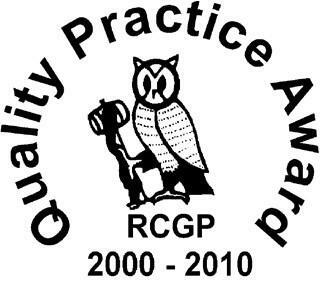 Royal College of General Practitioners website.